It is 'high time' that illegal construction, rampant in the national capital, needs to be stopped, the Delhi High Court has observed. A bench of Acting Chief Justice Gita Mittal and Justice C Hari Shankar said the people of Delhi and the public officials have to be made to ensure that the law has to be strictly complied with. "Judicial notice can be taken of the fact that when a building is illegally constructed, it impacts not only the physical enjoyment of the property of the neighbours but also results in unwarranted and illegal intervention in water circulation and the sewage system, which has been rampant in the city," the bench said. It said that "development has to abide by the statutory Master Plan of the city". The court observed this during the hearing of a PIL by the All India Anti Corruption and Crime Prevention Society seeking direction to the authorities to demolish 75 illegally constructed units under the South Delhi Municipal Corporation. The NGO sought direction to the CBI to register cases and initiate enquiries against the officials of the municipal corporations under whose jurisdiction illegal construction were allowed. It also urged the court to order a demolition of the illegal properties in question. The court declined to order a CBI probe and demolition of illegal construction, observing that it would do so only when the correct and complete picture is brought before it. It said the court commissioners, appointed by it to physically inspect such properties, should file reports regarding the illegal constructions under the three municipal corporations. Acting on the PIL, the bench on May 16 had appointed the court commissioners after it found that illegal constructions were rampant in Delhi. 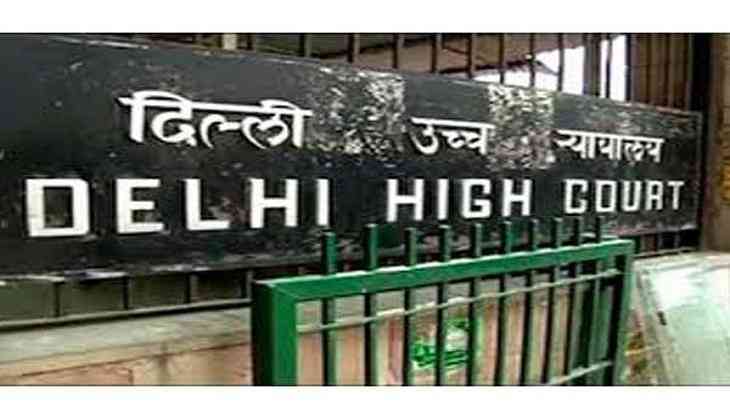 Though the petitioner had complained about the properties in the South Delhi Municipal Corporation, the bench had asked its commissioners -- former CBI director D R Karthikeyan, former India Habitat Centre Director R M S Liberhan and retired trial court judge Ravinder Kaur -- to conduct physical inspection of such constructions in the North Delhi Municipal Corporation and East Delhi Municipal Corporation as well. It had also directed the municipal bodies to appoint nodal officers to provide assistance to court commissioners. During the hearing, it noted that there is substance in the grievance raised by the petitioner, as such unauthorised construction has severe impact on the sanitation and health conditions in the city. "Such unauthorised constructions have changed the density projections of the city putting extreme pressures on public streets impacting mobility and pollution. "It is therefore, high time that meaningful order can be passed on the unauthorised and illegal constructions which are rampant and require to be stopped. Rather it should be stated that the citizens of Delhi as well as public officials are to be made to ensure that the provisions of law are strictly complied with," the bench added.